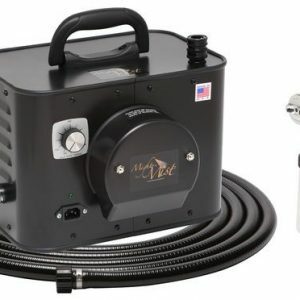 Mini Mist HVLP professional spray tan machine comes with a turbine motor, quick-connect hose and one professional spray gun (T6000). Its sleek design and handle offer a quieter experience (noise cancellation) for artist and client. 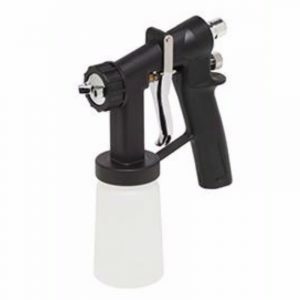 It features a gun holster integrated in the unit that keeps your gun upright when not in use. All our HVLP equipment is rock solid and comes with a 12 month manufacturer’s warranty, and it’s made in the USA. Don’t let its economical price fool you, it’s the real deal. 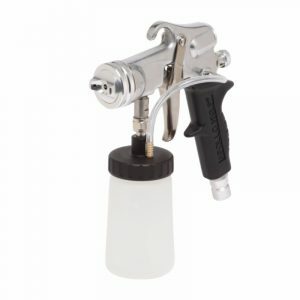 It can withstand continuous sprays for parties as well as knock out professional individual sessions. It won’t let you down. This unit is used in many salons around the USA.